What do you get when you combine the influences of European design and American engineering? There is a good chance you would get a 2018 Ford Focus. Coming in as somewhat of a dark horse in the compact car market, the Focus is a rather unique vehicle with a long history of good performance and reliability. In fact, so many people have enjoyed the Focus and its efficient design that Ford continues to invest in the car even as it starts to phase out other models. What makes it so popular with daily drivers and rally racers alike? The Focus is all about efficiency. Even though it lacks the more luxurious touches or performance enhancements other cars offer, it does a good job of balancing the necessities people have for daily driving. More importantly, it gives drivers options in terms of engines, transmissions, and convenience/safety features to consider. These options are hard to beat when you are not sure what kind of car you want or when you have something very specific in mind. These choice will allow you to find the best combination of specifications for your next vehicle without making too many compromises in overall performance, safety, and comfort. Coming in with 160 horsepower, 40 MPG fuel efficiency, and a starting price of just $18.825, it is hard to beat the Focus in terms of a quality, affordable car. If you are looking for a new vehicle, now is the time to start checking out the 2018 Ford Focus. If you are not concerned about the pure performance of a car, there is a good chance the interior features and driving systems will be more important to you. If this is the case, the Ford Focus does a good job of offering you more advanced features for less. If you have ever wanted a car with great safety, an advanced infotainment display, and interior perks that are just out of range in other models, the Focus is something to pay attention to. Even though the Ford Focus is on the smaller end of the vehicle size spectrum, do not let that fool you into thinking it is underpowered. Compared to similar cars of its size, the Focus offers enough acceleration and performance for the daily grind while delivering better fuel efficiency at the same time. In fact, the Focus is one of the best fuel efficient options that does not require you to sacrifice under the hood. The powertrain of the 2018 Ford Focus is advanced when compared with its rivals from other auto brands. 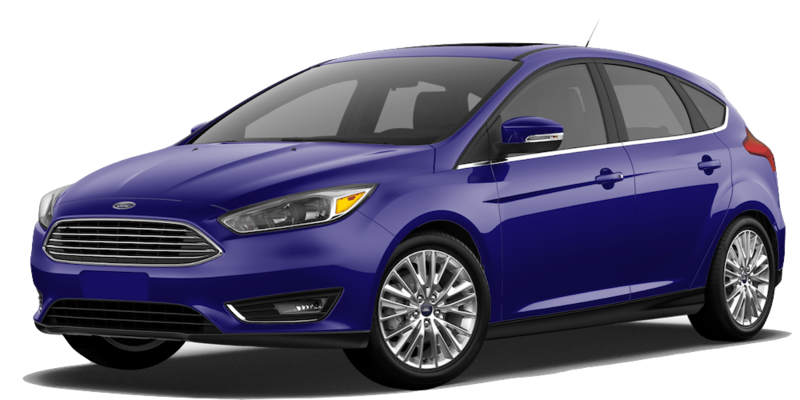 The base engine of the 2018 Ford Focus is an EcoBoost 2.0-liter Inline-Four engine that delivers around 160 horsepower An optional 1.0L Inline-Three engine is available on the Sedan with an output of 123 horsepower. Both engines come with a six-speed automatic transmission for smooth shifts and acceleration. The sedan offers a manual option as well for those drivers wanting a more traditional, tactile feel with their ride. The best way to describe the 2018 Ford Focus is “compact and mighty.” Even though it uses a small, fuel-efficient frame to get through town, it does not sacrifice interior comfort and space to do so. In fact, the Focus has some of the best leg and headroom space around since Ford has taken the time to maximize the overall design for better ergonomics and comfort. The Focus even outperforms some larger vehicles with its roomy interior. Like many compact cars, the Focus comes in both hatchback and sedan design styles. The choice between the two is rather simple. If you want a traditional-looking car, the sedan is the best choice for you. Otherwise, maximizing interior cargo space and legroom is best done through the hatchback. The 2018 Focus sports an all-new exterior look with a sleek appearance on the road that is both sturdy and sharp in look. The premium hatchback style has been modified with latest aerodynamic moldings to give a cutting edge style to this model and to grant it a high-level performance on the move. The lights are all LED with new casings for proper visualization. The front headlights have a slanting sharp look while the rear taillights have a three section long-running style reinforcement. The front grille is revamped with honeycomb mesh that gives the Focus front a futuristic look. The wheelbase is longer and the higher than the previous models that facilitates a greater space for more legroom. The inside of the brand new 2018 Ford Focus is heavily reinforced with comfortable seats and advanced features. Due to the extension of the wheelbase, the cabin is more spacey than previous versions. The rear leg space on the floor has been flattened out to make it more comfortable for passengers, and the dashboard is also pushed forward for more room for the driver. The luggage space is also more spacious than before. A well-design seating arrangement with comfortable air-conditioning and lighting gives the most comfortable ride to passengers. The front seats fully loaded with latest technology and systems. The digitized cockpit display is touch sensitive, and the infotainment is an analog-digital LED panel with knobs and button for better driving and in-cabin entertainment. The driver’s seat has an easily adjustable feature that offers a custom fit for anybody and everybody in the car. The driving panels are revamped with the latest C2 platform from the Ford technologies, which includes a driving mode selection option and suspension control that make the drive in Focus a pleasant experience. Need a new car but are not sure where to go to check one out? The only real choice is DePaula Ford. The thing that makes us stand out above our competition is the experience and expertise we offer when you need a reliable dealership with quality service. First and foremost, we know Ford vehicles better than anyone. Beyond knowing what models are popular, we can tell you how each model will give you the service and reliability you need for your primary car, truck, or SUV. Better still, we know how to save you money when purchasing a new Ford. From deals to financing, our knowledgeable and friendly staff is always on hand to give you the best service and deals we can offer. 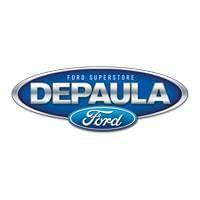 No one does business like DePaula Ford, so now is the time to come check out our inventory to see how we can help you today.